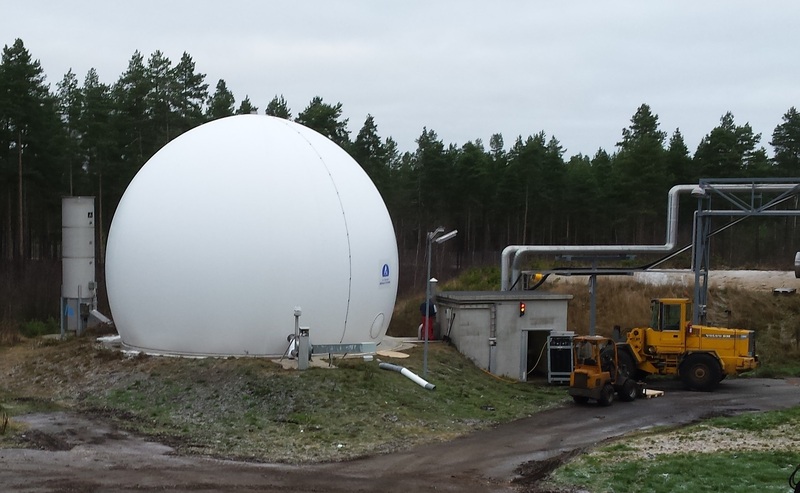 Our Biogas Systems division was approached to urgently replace a severely-damaged gasholder resulting from an electrical failure at a plant at Ilmajoki in the west of Finland. Some of the ancillary equipment such as air inflation fans and level detection equipment was still fit for purpose, but the replacement of the gasholder itself required immediate action. We designed, fabricated and installed the membranes successfully to a very tight programme, and the client was extremely pleased with our rapid response, speed of delivery and quality of installation. This is now the fifth slab-mounted gasholder that we have installed in Finland over the years.